I simply love aprons — maybe it’s because I’m a messy cook — whatever it is, I have a closet full of aprons. 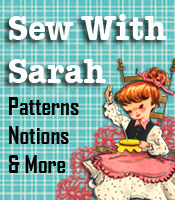 I want to pass along another sweet tutorial from Jona at Fabritopia for the “one hour” apron. This is very cute and I love the way it wraps around and ties in the front. 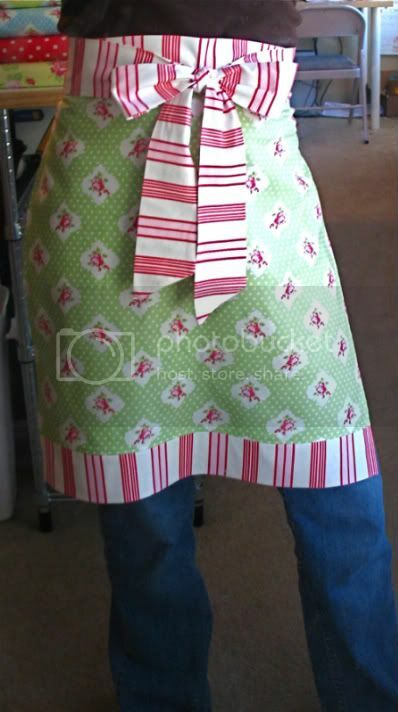 If you’re into aprons as well, we have a couple very quick and easy to make Country Apron styles at Patterns2Go — and these are not only “quick”, but CHEAP! They are made from outgrown or outdated jeans and make terrific gifts or just for your own kitchen! I’ll bet you can’t just make “one” of these three aprons —— your friends and family will all want one too!! I keep wanting to make an apron out of old jeans or better yet overalls. That’s an awesome idea – I love it!